Richard Lackey, the CEO of the World Food Bank, is delighted to announce the appointment of Scott Brown to the role of President of the World Food Bank. 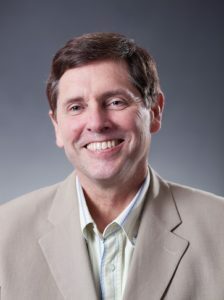 In 2006, driven by a personal passion for poverty alleviation, Scott made the leap from commercial to not-for-profit joining World Vision as President and CEO of VisionFund International, with operations in Africa, Asia, Latin America and Eastern Europe. Within 11 years, Scott grew VFI from a disconnected group of 48 grassroots entities to a linked global branded network of microfinance operations that now employs 7,500 people and serves 1.4 million clients (73 percent women) in 31 countries with over a half billion dollars in loans. During his time with VFI, Scott also chaired an industry group of microfinance CEOs, which focused on improving remote financial inclusion and client protection. Partner Spotlight: Interview with Randy Welsch of Jibu	Host WFB’s Impact Investing Lunch in Your Hometown!